Actor Clark Gregg of 'Agents of S.H.I.E.L.D.' earned his BJJ brown belt. 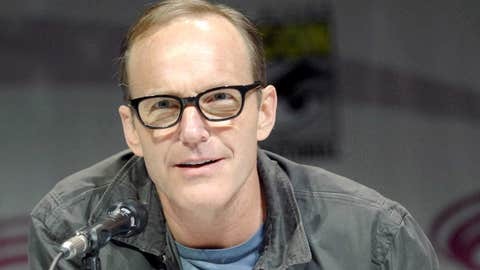 In films like The Avengers and Iron Man as well as the lead on the ABC series Marvel’s’Agents of S.H.I.E.L.D.’, Clark Gregg plays no nonsense field agent Phil Coulson – a suited up team leader who collects Captain America trading cards and helps to build the greatest superhero team in history. In his spare time, Gregg even manages to throw in a little Shakespeare adaptation while marrying the lady once called Baby that no one dare put in the corner. But as it turns out the soft spoken Gregg is also an active student learning Brazilian Jiu-Jitsu under famed teachers Rigan Machado and Renato Magno at their academy in Santa Monica, California. Gregg recently took to Facebook to reveal that he’s not only a fan of Brazilian Jiu-Jitsu, but he’s worked his way up to brown belt status after receiving the latest promotion from his instructors. "Grateful and honored to receive my brown belt in Brazilian Jiu-Jitsu from the amazing Renato Magno and Rigan Machado," Gregg wrote. So not only does Gregg get to play an action hero on TV, but he’s working to become one in real life as well adding more martial arts to his repertoire with his latest achievement in Brazilian Jiu-Jitsu. The next time Loki comes calling looking for trouble, Agent Coulson might have a few more tricks up his sleeve than just a big gun. Look out for the armbar, mischievous Asgardian god, because Coulson is coming for you.